The Lead2030 initiative funds and accelerates youth-led solutions for each of the Global Goals and enables innovators to meaningfully scale and accelerate their impact. 10 projects will be offered $50,000 and receive months of dedicated expert support and mentoring from some of the world's most prestigious brands. Goal 2: How to end hunger by 2030? Goal 3: How do we fight the growing burden on non-communicable disease worldwide? Goal 4: Education: Generating Returns. Sustainably. Goal 6: How do we achieve universal access to equitable sanitation and hygiene by 2030? Goal 7: How do we increase the share of renewable energy by 2030? Goal 9: How can we re-imagine solutions to finance the growth of SMEs and trade to unlock prosperity for the world’s communities? Goal 10: How do we create an inclusive workplace environment for the LGBTI community worldwide? Goal 17: Scalable partnerships to accelerate education, literacy and skills development. 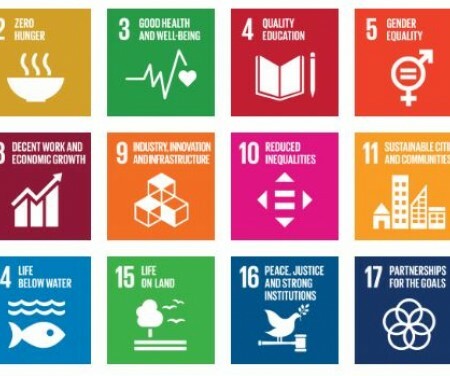 Youth-led initiatives, businesses or movements that are making a tangible impact on one of these selected SDGs are encouraged to apply here until 5 January.